Puoi selezionare fino a 10 viaggiatori in tutto. 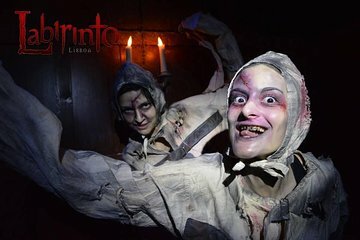 Step back in time with an interactive experience at Labirinto Lisboa. Watch historical characters come to life in 17 different scenes to act out some of the city’s darkest stories and legends. This interactive tour can be performed in either English or Portuguese and is guaranteed to give you the chills.